So You Want to Start Your Own Handbag Line? 7 Important Points To Consider Before Starting A Handbag Line. 1. Do you know how to draw? Can you sketch your designs and do a tech pack? If so, fantastic! If not, how will you be able to translate your fabulous design ideas so a pattern maker can make a technical pattern for production? To help bridge that gap you may want to consider hiring a handbag designer to help turn your design vision into a functional bag. 2. Price Point Will Determine Materials. 3. Educate yourself on manufacturing abroad vs. domestically. The start up costs are much higer for making patterns and samples in the USA, but on the other hand producing overseas requires high minimums, which very few start up brands can afford to produce high amounts of inventory. Educate yourself as much as possible about the difference between producing domestically or in Asia. Do you have time to travel to China for example to interview factories? Can you afford to produce in NYC where the labor costs per piece are much higher than overseas? Hiring a professional handbag consultant they can save you thousands of dollars in manufacturing mistakes. 4. Handbag metal fittings/hardware. If you are going to produce in the United States you will have to source your own metal fittings/hardware. If you are designing a luxury line of leather bags, this is very important. You can do research online or hire a professional to help you navigate the process of getting high quality handbag hardware for your bags, most likely from overseas as there are not handbag metal fittings companies in the United states and the ones that exist just import. Once again do your homework or hire a consultant. Your customers will want good quality metal fittings if they are paying a premium price for your bags! I have had many aspiring handbag designers using expensive Italian leather with cheap hardware that tarnished right away. Once again, this was a disaster and there were many customer returns. 5. Patterns. Once you have defined the factory that you want to product your collection you will note that most factories have their own pattern maker on site. Often aspiring handbag designers’ hire outside pattern makers that may not be well versed in handbag pattern making. This is often not necessary as a good well established handbag factory would have their own onsite sample room and pattern maker. 6. Materials. Are your bags going to be leather, fabric, vegan leather or a combination of the two? Most leather factories cannot produce fake leather goods or fabric. The machines are different for leather and fabric. Once you decide what type of materials you are going to use, then you can start to source the right factory. Mention this article and get 15% off your first consultation! 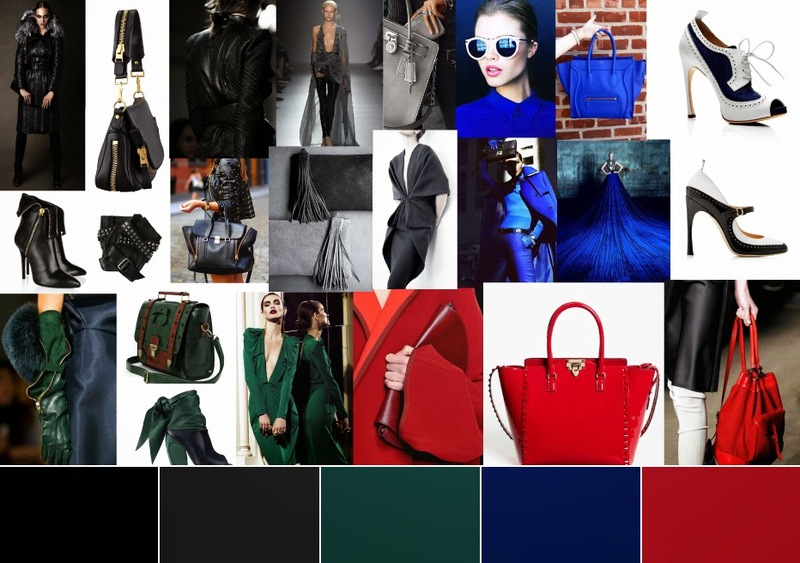 Starting with a mood board is a great first step!